This year, we set out to understand the four elements that define our everyday environments. Click on an element to see what we're doing. Our cities are growing, but is our food? Many note urban agriculture as a key solution for our ever-growing cities and a way to capitalize on under-utilized living space. What is the potential of urban agriculture, what does it look like today, and what might it look like tomorrow? 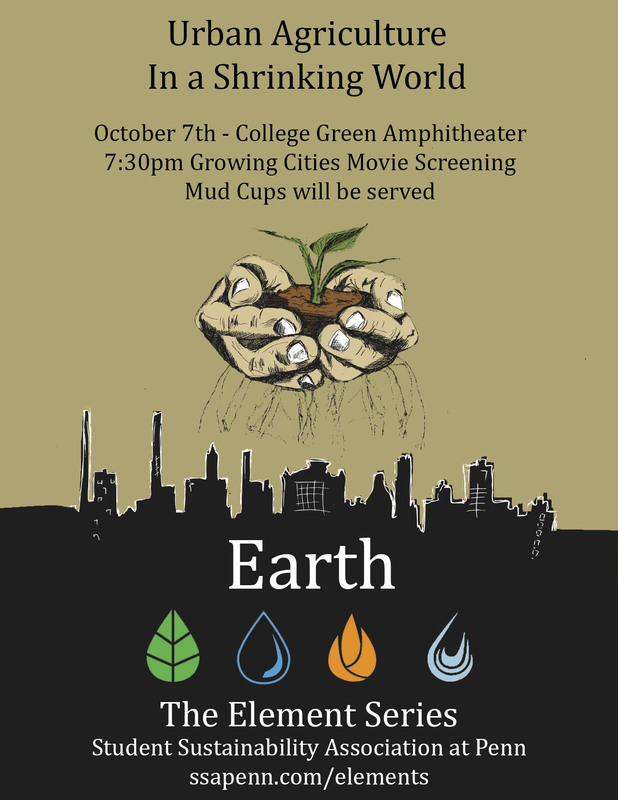 Join us in the Terrace Room at 7:30 as we screen Growing Cities, make our own Mud cups, and discuss urban agriculture in a shrinking world. Dr. Thomas's work focuses on the relationships between land use decsision and human vulnerability to environmental change. Her dissertation "The River-Border Complex" explored contemporary conflicts along the Ganges River and she continues to reseach the conflicts surrounding the world's rivers, providing a unique perspective on water conflicts and politics. Tony Sauder is a registered professional engineer and geologist with over 20 years’ experience in water resources, hydrogeology and environmental engineering. His hydrology experience has ranged from evaluating water harvesting in semi-arid regions of Africa to determining protective discharge limits based on low flows in Pennsylvania streams. His international experience includes 10 years working on projects involving water supply and sustainable development in Chad, Sudan, Honduras, the Dominican Republic and Belize. This work makes him adept to discuss water development and access. Shane has worked extensively in the Philadelphia community, both on spiritual and environmental missions. As the founder of the Simple Way in Kensington, Shane seeks to unite utopian living with religious ideals in order to provide an ideological base for the important social changes we need in the modern world. At the Simple Way, Shane helps run an aquaponics farm and connect people from all backgrounds with a sustainable living community. 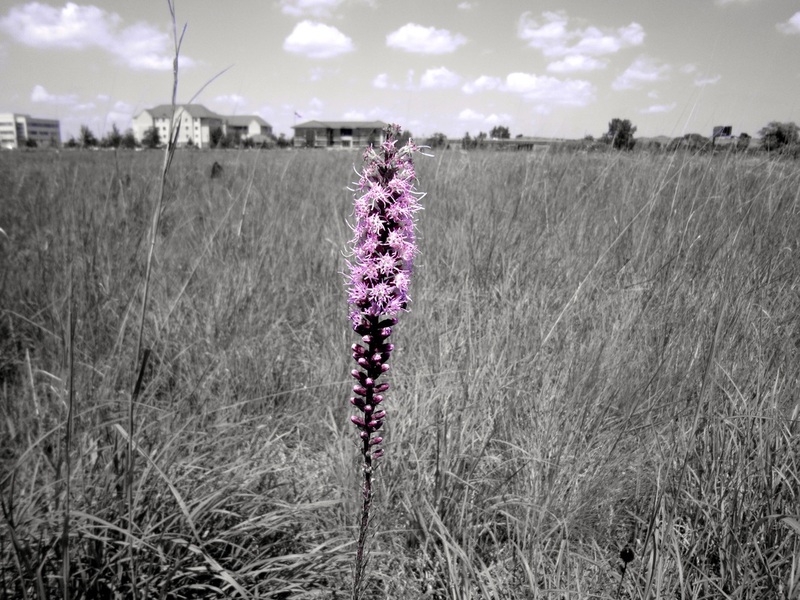 Shane offers a perspective on water innovation and community. Throughout the month of February, check out our great events around energy, in conjunction with the annual Power Down Challenge run by Penn's Green Campus Partnership! With movie screenings, sunset yoga, and a challenge for you to power your phone with a bike, we've got amazing events to help you power down. To stay up-to-date with all of our events, check out our events page calendar and look on our social media for more information! And for general Power Down events, make sure to check out the Power Down Happenings. Our bike challenge will be held on February 24th, Penn's Power Down Day, a 24-hour energy-reduction challenge. Come find us in Levine Lobby from 10-2 as we join with the School of Engineering and Applied Science to make energy tangible. We'll have food and other giveaways, along with great information on powering down and what it takes to power up your everyday appliances. How do our activities affect the air and why should we care? What can we do to reduce air pollution? How can the air be utilized as a symbiotic partner for our sustainable future? Join us for a breath of fresh air as we evaluate our local, national, and international air to determine how we can be better stewards for the element we breathe in every day. Stay tuned for more.